John Cratchley An unsung hero of mine is Mr.Cooper (since "Oh Really", really; I also really like his work with Chris Abrahams)...these two pieces nicely show his range and abilities; splendid playing at every turn...there's more of his music in this collection ("Trout Steel" & "Places I Know")...more than worth the time and effort to check out. 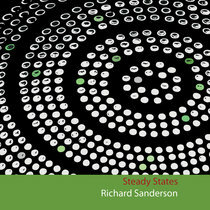 Download includes a PDF booklet of notes and images. A limited numbered edition of 50 CDs, each rubber stamped and housed in a frosted plastic "unbreakable" plastic case, with a wraparound sugar paper insert (and spine-it'll look good on your CD shelves! 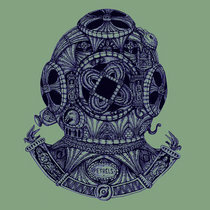 ), an image printed on sugar paper. Each copy also includes a unique card from the 1970s Brooke Bond Tea series "The Race Into Space". Includes unlimited streaming of Forbidden Delta Planet Blues via the free Bandcamp app, plus high-quality download in MP3, FLAC and more. 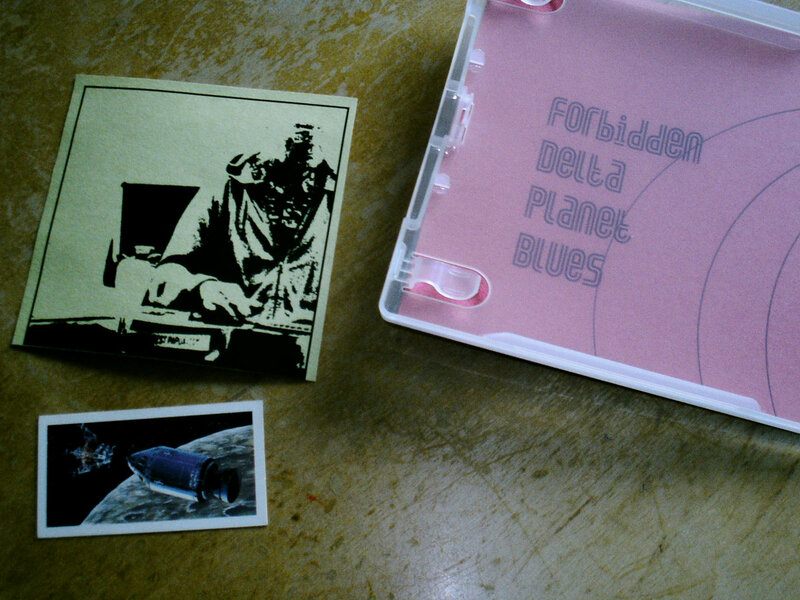 "Forbidden Delta Planet Blues" is a long form work built from over lapping loops and featuring some beautiful Hawaiian style slide guitar. 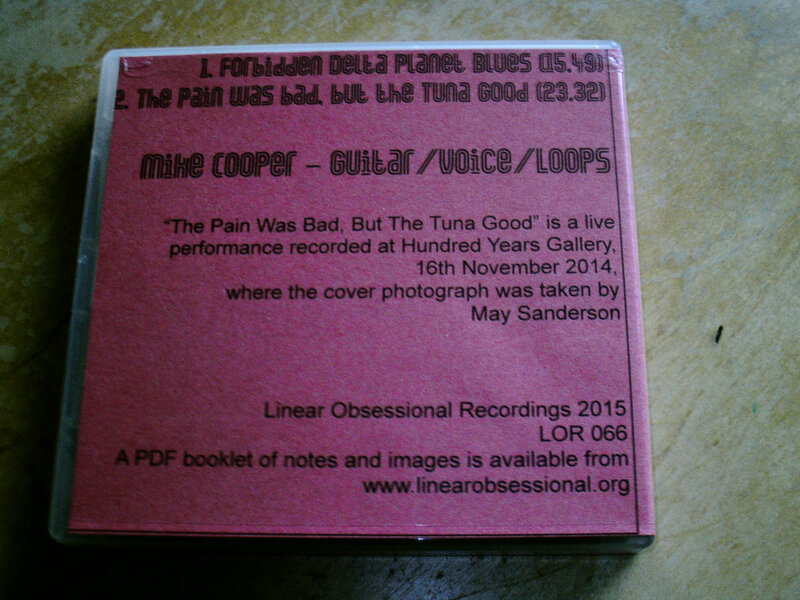 "The Pain Was Bad, But The Tuna Good" is a live recording of a spell-binding solo live performance recorded at London's Hundred Years Gallery. Played on a resonator guitar and including some singing,the playing is extended with use of hand-held fans and bows. The download includes a PDF booklet of notes and images. 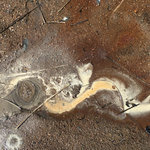 Cover image from a photograph by May Sanderson, taken at the Hundred Years Gallery performance. 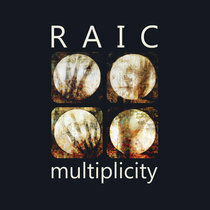 Cover and booklet design by Richard Sanderson. 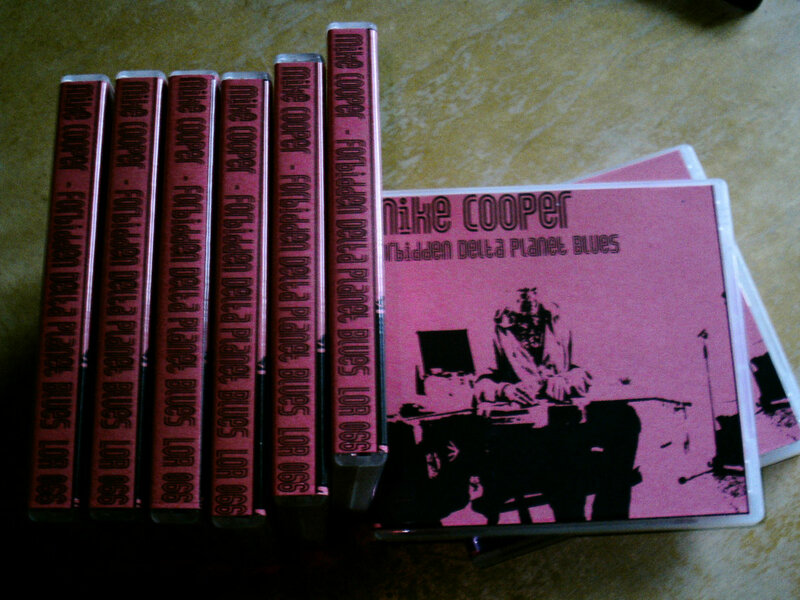 Thanks to Mike Cooper and Hundred Years Gallery. 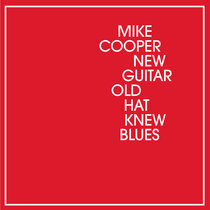 "Although Mike Cooper is based at least semi-permanently in Rome, to take a glance at his Facebook feed you’d think that he was a hypermodern incarnation of an itinerant hippy troubadour, walking the Earth and singing songs with his trusty guitar, all the time hooked up to social media like some self-actualising techno-pagan media node transmitting deep vibes down the wires to all those attuned to his strange frequency. In reality of course, he’s something both more prosaic and more interesting. While a lifetime of playing has finessed his playing to a fluid, bluesy simplicity, his openness to collaboration with all manner of sound makers has also broadened his aesthetic, to take in American-primitive style fingerpicking, free improv dissonance and the stretchy whine of Hawaiian lap steel. 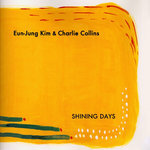 His embrace of digital technology, too, is distinctive, often sampling and looping his own playing or adding texture through field recordings. 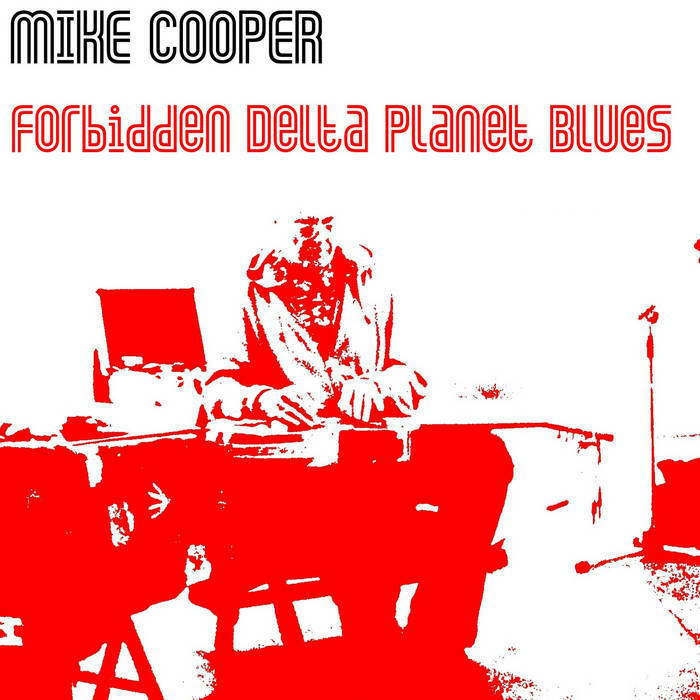 Forbidden Planet Delta Blues is Cooper’s second release on Linear Obsessional. 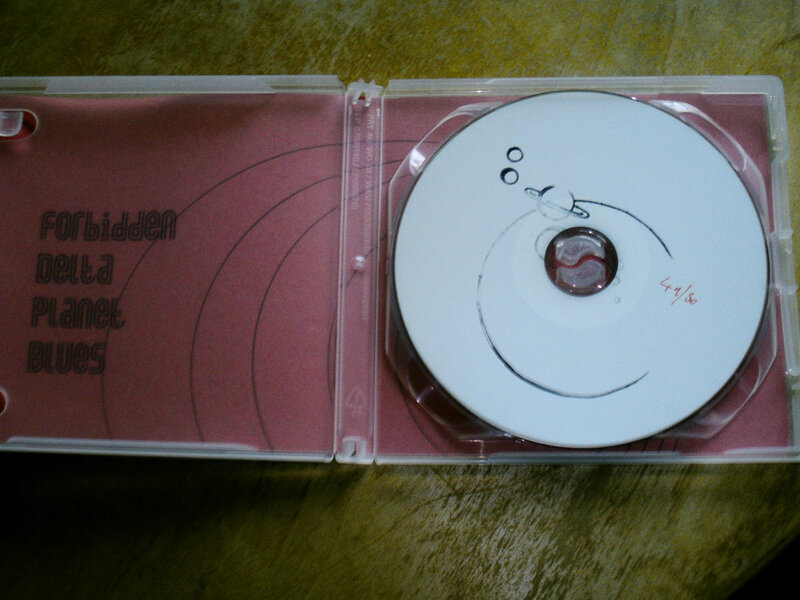 If his first, 2013’s Right (H)ear Side By Side, a collaboration with Hong Kong sound artist Yan-Chui Leung, was an often beguiling tributary, this later recording swirls within one of the main currents of his discography, a kind of folk exotica as exemplified by the recent Fratello Mare and 2013’s White Shadows in the South Seas. These recordings exist in a dreamlike state, imbued with the tang of faraway utopias, prelapsarian visions of a paradise untouched by the shattering interventions of colonialism (although pieces such as 2011’s The Migrant Song allow harsh reality to puncture the idyll). It’s Neil Young’s Cortez the Killer reimagined by Gaugin, a soundtrack drifting out from the pages of David Toop’s Exotica like sand blown from the dunes. 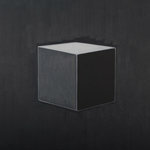 Of the two pieces presented here, the title track fits that billing to the max, with hints of bowed guitar, burbling electronics and ragged guitar loops creating a limpid, shifting canvas for Cooper’s mellow lead lines. 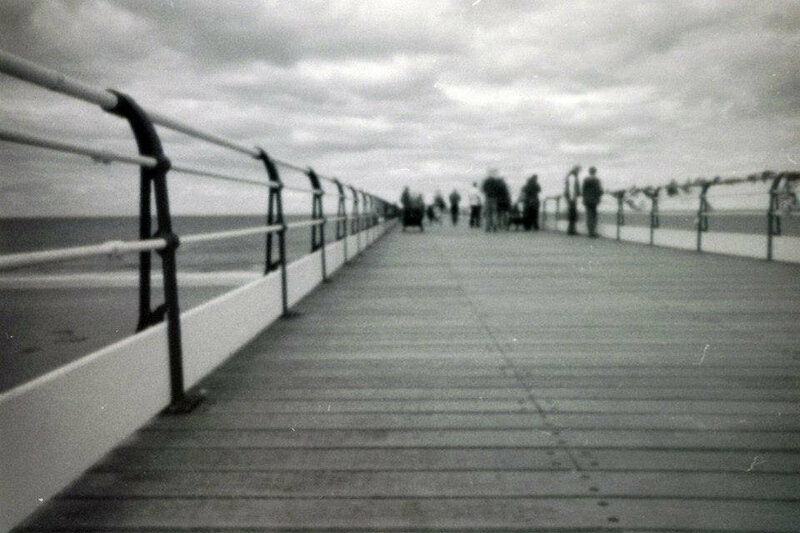 Snippets of reversed guitar give that sonic soup a pleasing retro-psych feel, and gently plucked harmonics hang in the salty air as steadily as gulls riding the breeze. 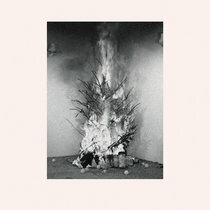 Fittingly, the piece doesn’t go anywhere as Cooper adds touches of slide to the mix and – perhaps – tiny gamelan bongs, almost submerged in the background. Lie back. Listen to the waves crash on the beach. Bask in memories of childhood holidays. Endless summer. The freedom of boredom. Hazy, lazy times. Innocence. But you can’t keep the shadows at bay forever, and the second piece, The Pain Was Bad But The Tuna Good, darkens the mood, reflecting its predecessors’ pastoral vibes in a dark mirror. 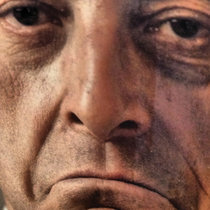 Recorded live at east London’s Hundred Years Gallery in summer 2015, Cooper shifts his focus to a freer improvisatory style, with bowed guitar and extended techniques foregrounded. The lush textures are gone, leaving a bare and dissonant backdrop for his liquid plucks and slides. 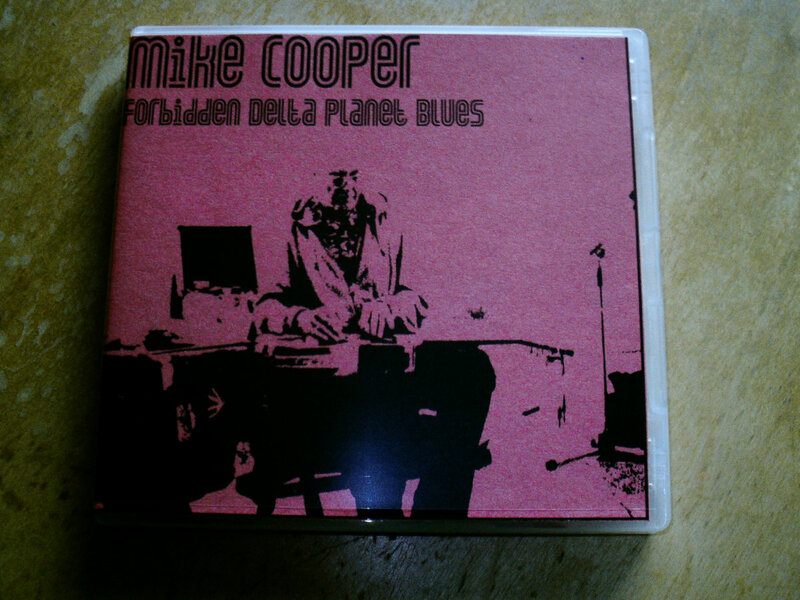 Into this, Cooper adds fragments of vocals, with lyrics sourced from, and expanding on, Migrant Song. “Just these tired men/Far from your love/His soul snatched up/Maybe just left behind.” The parallels are obvious, and painful. We can’t look at the beach in the same way ever again. And we shouldn’t." Paul Margree - "We Need No Swords"